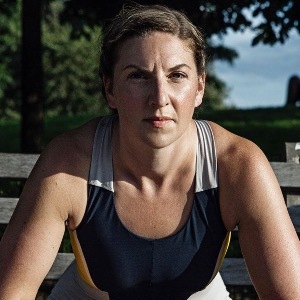 Sara Dimmick is the founder and head trainer/coach at Physical Equilibrium based in NYC. She has been racing since 2004 and a coach since 2006. She has personally completed triathlons all over the country (mostly sprint to 70.3s including the the Escape from Alcatraz - 3x), NYC Marathon and many other running, and endurance cycling rides. Currently, her company services clients in Manhattan, Brooklyn, and the Hamptons, or can design programs remotely. She has coached novice triathletes and runners as well as top age group athletes who have qualified for age group nationals and world competitions. PE maintains a team of trainers, coaches and dietitians in addition to close affiliations with the area’s top physicians, physical therapists, massage therapists, healthy chefs and retail stores. Her certifications include: USA Triathlon Coach, Training Peaks Level 2 Coach, Slowtwitch Coach, NSCA-CSCS, and Post Rehab Personal Training. Sara has served a fitness expert for online, print and television outlets numerous times, including Fox 5’s Good Day New York, Shape Magazine, WCBS-New York, Gotham Magazine, Healthy and Fit Magazine, Time Out NY and on CBS News Blogs. Success. Coach Sara Dimmick has been notified of your message. To hire Sara Dimmick as your coach, select the coaching service that is right for you.